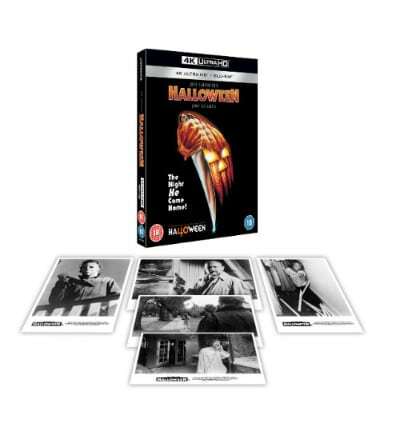 Coinciding with its 40th anniversary – and the upcoming release of the David Gordon Green-directed sequel/reboot – Lionsgate has announced that John Carpenter’s classic horror Halloween is coming to 4K Ultra HD Blu-ray this October. Jamie Lee Curtis and Donald Pleasance star in the ultimate, original slasher movie HALLOWEEN… Escaped psychopathic child-murderer Myers returns to the home where he butchered his sister with a carving knife to torment and murder residents once again. Baby-sitter Laurie Strode becomes his new target in this creepy, evil and unforgettable film. Halloween is released on 4K Ultra HD on October 1st.